The New York Times Best Seller. In order to convince Sculpt to give me self-defense lessons, I had to follow his one rule—no complaining or he’d walk. I didn't think it would be a problem. I could handle a few bruises. What I hadn't anticipated was landing on my back with Sculpt on top of me and my entire body burning up for him. I failed of course. And having a hot, tattooed badass on top of me week after week, acting completely immune to what he was doing to me—it was frustrating as hell, so I broke his rule—I complained. Author’s Note: This novella is a prequel and not required to be read before “Torn from You”, however highly recommended. Warning: Huge cliff-hanger. Like huge! However, the next novel "Torn from You" is released. *Due to sexual content and strong language not recommended for readers under 18. It's not usually a type of book I like to read but it was okay. When I a book is okay, it means that it holds enough interest for me to finish the book and maybe look at the next book in a series. Everything was going well until the end, where she gets kidnapped. It's like, what the hell happened??? Nothing was out of the ordinary, so there was no reason as to why she had to be kidnapped. Maybe the book was a little to short or the author had, had enough with the book to end like that. I enjoyed this story. I knew what I was buying when I bought this, but it still shocked me. If you enjoy dark reads. Give this a try. Somebody said the best thing about this book was the front cover!! Totally agree!! This series is a tough read, definitely not for the sensitive reader but compelling stories. I couldn't put the book down until done. Please read first before Torn From You. Brilliant, brilliant books. Fantastic story with such interesting characters & story line. 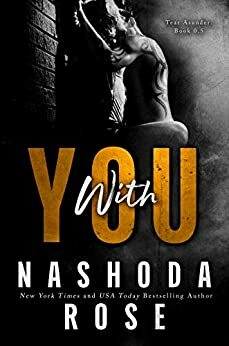 Well worth purchasing :-) I love Nashoda & can't wait for her next books. Can't wait to read follow up,gripping story,wonderful characters,love the thrills and romance,look forward to the next book,a real must read.